A new short film, Gaza in Context, on the situation in Palestine takes aim at the corporate news media’s coverage of Israel’s July-August 2014 assault on Gaza. 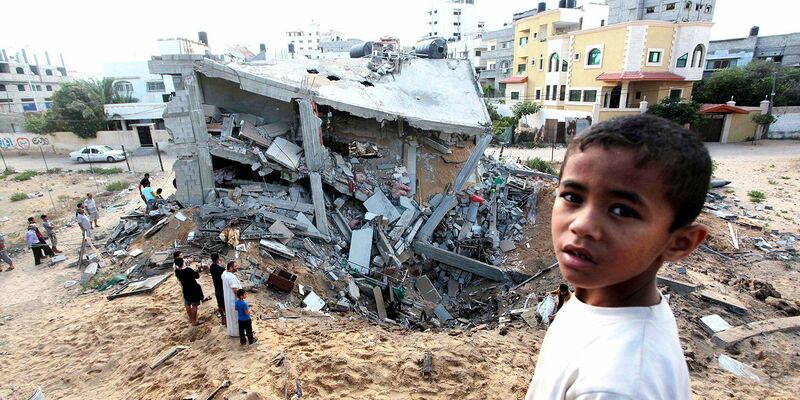 Israel killed 2251 Palestinians during the attacks, including 551 children. About 75,000 people remain displaced two years later. Hebron play Gaza Strip in the 2015 Palestine Cup final at al-Yarmouk Stadium, Gaza City. 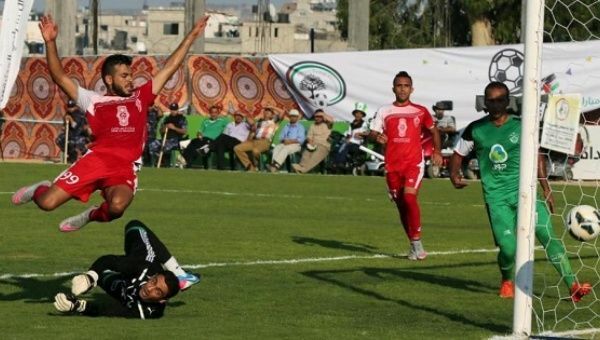 Israel prevented at least nine footballers players from crossing from the West Bank into Gaza to join their team for the opening match of the Palestine Cup on July 26. Image via Jewish Voices for Peace. 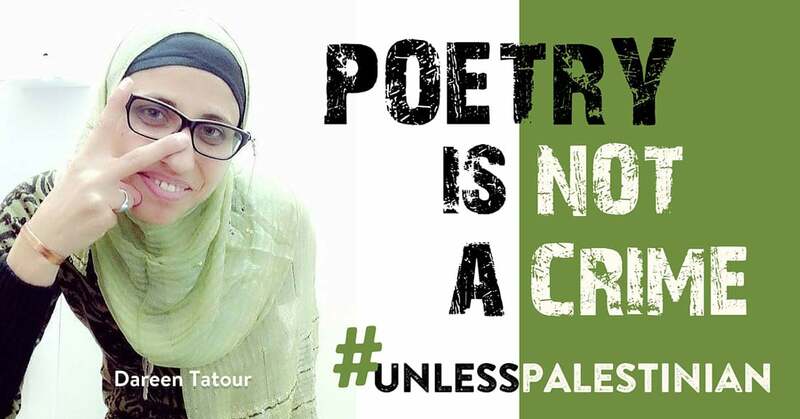 Major literary figures are among more than 150 writers urging Israel to release Palestinian poet Dareen Tatour, who has been under house arrest since January for a poem she wrote. Palestinian performance poet Rafeef Ziadah on stage with Phil Monsour, with whom she is touring Australia's in late March and April. Rafeef Ziadah is a Palestinian campaigner and spoken word performer of such immense power that she demands to be heard. Training for the Right To Movement marathon. Photo: Patrick Harrison. When people imagine Palestinian resistance to Israeli occupation, lacing up some trainers and hitting the pavement is not the first thing that comes to mind. But for some Palestinians, running is one creative and non-violent way to oppose Israeli injustices — rallying behind the banner of the Right to Movement organisation. Israeli Prime Minister Benjamin Netanyahu is again pushing a proposal to deport Palestinians from the West Bank to the Gaza Strip, despite broad opposition to what would be a violation of international law. In a March 2 letter, Netanyahu asked Israel's attorney-general to conduct a legal review of the proposal, which would allow families of convicted “terrorists” to be deported. Ynet reported that the prime minister said during a cabinet meeting that he does not agree with “how it [war crimes] is defined in the Geneva Conventions”. Thirty three-year-old Mohammed al-Qeq, a Palestinian journalist who has being held for more than six months in administrative detention without charge or trial in an Israeli prison, ended a 94 day hunger strike on February 26. Al-Qeq ended the strike — the longest by any Palestinian prisoner — after Israel agreed not to renew his administrative detention order, which ends on May 21, AFP said that day. There has been plenty of heat this Palestinian winter in the campaign for Boycott, Divestment and Sanctions (BDS) against Israel. There have been some important victories, helped by the increased scrutiny of Israeli state violence since October. And equally, the hysteria from Israeli and Western political establishments over the “threat” posed by the BDS campaign has reached new levels. After 77 days on hunger strike in protest against his arbitrary detention by Israeli forces, Palestinian journalist Mohammed Al-Qeeq is on the verge of death. Al-Qeeq is currently in detention in a hospital in the northern city of Afula; his petition to be transferred to a clinic in Ramallah has been rejected by the Israeli government. His lawyer says he refuses to stay in Israeli hospitals and will only accept medical treatment in the West Bank. He was arrested on November 21 last year on charges of being an activist with the Gaza-based Palestinian resistance movement Hamas. “Stop the blackmail: Anti-Zionism is not anti-Semitism.” Paris, July 2014.